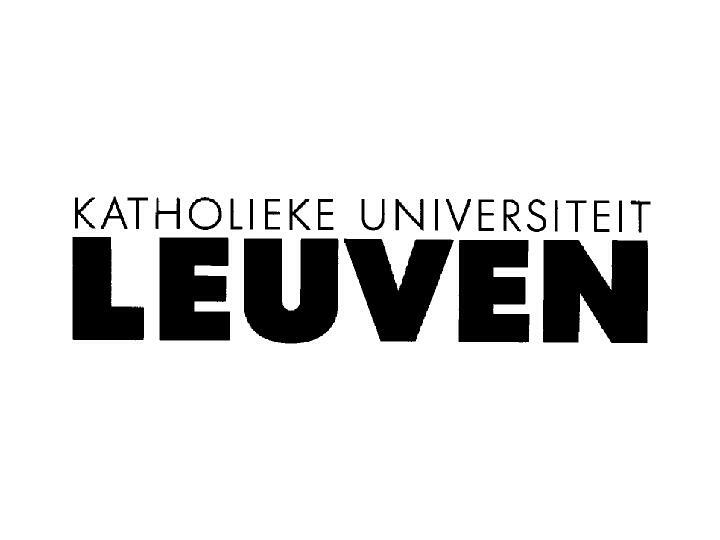 On 10 January 2003 the Catholic University of Leuven hosted the Second European Space Policy Workshop "The Stakeholdesr and Their Interests" which its Institute for International law co-organized with the space and telecommunications consultancy Systemics Network International. The aim of the workshop was to identify principal constituencies of the space sector and to define their interests, as well as to provide a platform for their suggestions and ideas in moving forward a "genuine" European policy. This workshop succeeded in its aims thanks to the consistently very high quality of presentations and participants' interventions. Prof Jan Wouters of KU Leuven chaired Part One of the Space Policy Workshop. The Rector briefly outlined the objectives of this series of workshops and mentioned the experience and expertise in space issues of the co-organizers, KU Leuven and Systemics Network International, which is reflected in the choice of speakers and subjects but also in the intellectual strength of the planning for the workshop series as a whole. He reiterated the vocation of the University in bringing all actors together in an atmosphere of academic inquiry to meet the policy challenges of our day in space affairs. At the moment there was no intention to mention space in the Treaty. In practice this sector is part of the complementary competences of the EU in research and technology. Yet there is an inclination to consider space as a competence spread among member states, with some account being taken of its trans-border character. [N.B. After the workshop, space was indeed included in Art.3 of the first 16 Articles proposed by the Presidium to the Convention]. Mr Dehaene considered that it is very important to bring space into the picture, and to do so explicitly in the Treaty. In addressing questions of competence, the past must be taken into account. The role of ESA in the development of the European space sector was very considerable and this cannot be ignored. Mr Dehaene's point of view is that ESA sooner or later will become an agency of the EU devoted to space. As an autonomous instrument within the EU it will be able to implement a coherent policy as it has the best tools at its disposal. It will develop as part, however, of a supranational body, contrary to the inter-governmental character which it has today. In closing, Mr Dehaene mentioned that he would appreciate the Workshop's advice in addressing space as part of the Convention's work. Mr Poncelet commented on the role of ESA in the development of the European space policy. He stressed that ESA is primarily an industrial and financial project. Its main task is not to define policy but to determine programmes and carry them out. ESA has an intergovernmental character. Its aim is to develop and execute certain programmes with the help of financial contributions of its members. In addition ESA is the owner of an important part of the European space infrastructure in the name of its Member States. Cooperation between ESA and the EU has existed for a long time. It is clear that the time has come to go further. Mr Poncelet proposed to examine various modes. It is possible, for example, for ESA to become a member of the EU. A special status could be defined for ESA. Or it can follow an example of other international organizations like Eurocontrol. Mr Vandenberghe said that it was a great pleasure to speak at this workshop on behalf of Commissioner Philippe Busquin, who would have liked to participate himself if he had not been in Athens today for a meeting with the Greek Presidency of the EU. Mr Vandenberghe noted that the workshop was very timely as the European Commission was finalising, together with ESA, a Green Paper on space policy. Mr Vandenberghe, therefore, set out briefly the main orientations of the Green Paper and the reasoning behind them. The European Commission considers space in Europe as a success story of European collaboration, similar to Airbus. The European dimension is the only possible dimension in space, which is by nature trans-national. Europe exists in space thanks to the willingness of national governments to pool their efforts and thanks to the efficient action of ESA for so many years now. · Access to space with an autonomous launching capacity. · A recognised partner in international cooperation projects, such as the manned space missions. The EU has set itself ambitious goals for the coming decades. 3. Developing an autonomous and effective foreign and security policy. It does not require much convincing that space-based applications will increasingly be essential instruments for realising these overarching goals. The question Europe is facing in this regard is how to better identify and define in a coherent fashion what capacities are needed for Europe and how to realise them. - And increase and optimise investments in the most coherent way. These institutional questions go to the heart of the Green Paper. Mr Vandenberghe expanded on two of them. First, how to reinforce the political and legal basis to enable the EU to act efficiently in the field of space. This is the link with the Convention on the future of Europe. The EU is so far acting on the basis of treaty chapters concerning different policies (research, transport, external relations). Would Europe not gain from having a proper chapter on space in the EU treaty, which would allow it more easily to overcome ambiguities and fragmentation and to launch ambitious initiatives at the service of its policies? This immediately raises the second question of the relationship between the EU, ESA and the Member States. There we see an obvious win-win situation. ESA has the know-how and a system that has proved its merits. For the Commission, and the EU more broadly, one of the questions is how to work with ESA so that ESA becomes an " implementing agency " for the EU, at least for the part that concerns EU policies. For its part, the EU can bring to bear its competencies and its political force to help ensure a vibrant space sector and a competitive industry. It provides reference to competition rules, trade policy, standardization, etc. ESA has traditionally taken care of organising the supply side (i.e. industry and research). The EU can take care of the demand side: rallying potential users of space-based services, particularly in the public sector, around joint user requirements which create a demand with critical mass at the European level. All this is a question of evolution. The Green Paper has the intention to launch a wide debate on these questions. It will not yet provide the answers. The Commission intends to produce an ambitious White Paper later in the year on the basis of hopefully supportive and strong inputs from the public consultation. Mr Becher pointed to the differences in approach between the Europe and the United States in using space for defence purposes. He also recalled the special place of space in the European integration process with ESA as a specialised organisation outside the EU system and the traditional exclusion of defence matters from the EU's competencies. In Europe, there are so far only modest observation and telecommunications capabilities (Helios, Skynet, Sicral, Syracuse), all conceived and operated on a national basis, supplemented by access to NATO's own communications satellites, some case-by-case use of US capacities and recourse to commercially available resources. For imagery exploitation, the EU can take advantage of its modest but fully operational satellite centre in Torrejón. The use of space for security and defence is still a niche endeavour and is not yet firmly rooted in plans, budgets and institutions, except to some degree in France. The small scale of European investment in space assets for public infrastructure, including security and defence, has negatively affected demand for space products and services and put this industrial sector at a competitive disadvantage. Space offers important strategic benefits of a practical nature. This is particularly relevant for defence. The added quality of information-based, accelerated operations strengthens the effectiveness of forces disproportionally and allows them to fulfil their missions for international peace and security better and more cost-effectively, including the ESDP spectrum of tasks. Space-based assets are also key enablers for continued European influence in transatlantic alliance and coalition operations. The joint requirements for imaging satellites formulated by France, Germany, Italy and Spain are a good beginning but from there it is still a long way to an integrated geospatial intelligence, surveillance and reconnaissance approach for Europe. Most importantly, European efforts in this field ought to be directed not at creating "white elephants" but at the incremental improvement and practical integration of available operational capabilities in a field of rapidly advancing technology. Some participants expressed an opinion that the EU should become some kind of a "member state" of ESA. They doubted the benefits of ESA's integration in the EU structures as a specialized agency. Others, though, wondered why policy development should be sidelined in this way, as there were clearly issues of policy that could be addressed only at the level of the EU. Some participants mentioned current the problems with the Galileo project. It is important, all conceded, that arrangements are put in place for better coordination of activities than this case demonstrated. Some participants were pleading to search in a more pro-active way for synergies between ESA programme actions and applications addressing the needs of European citizens. Some of the participants raised questions about the role of the military in future European space policy. For example, the ESA Convention enshrines the civil character of the Agency. Therefore, ESA cannot develop military applications without changing its fundamental treaty. The EU enjoys greater freedom in this regard, which implies it must assume a larger role. On the other hand, others pointed out that the manner of application of a Treaty could be steered by those who concluded it if all agree and the right mechanisms can be found. Mr Vandenberghe considers it is too early to give a definite answer to the military space question. There is constant evolution in the space field. Policy must follow the evolution of events, but the debate is at least now under way. Mr Dehaene's opinion is that a clarification competencies between the EU and member states is necessary to reinforced collaboration in the military field while there seem to be problems in the more limited competence of ESA. Mr Poncelet mentioned that one should not get blinded by the term "dual use". In fact, most of contemporary space projects have "multiple use". Good examples of such projects are Envisat and GMES. 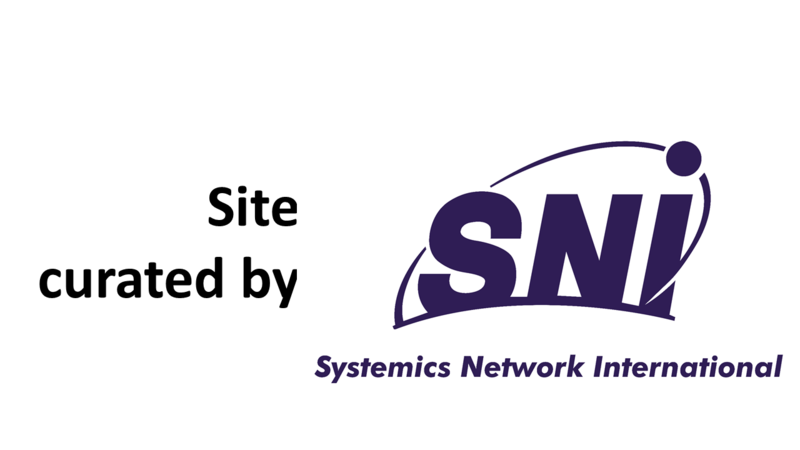 Dr Kevin Madders,SNI chaired Part Two of the Space Policy Workshop. Mentioning that the overall theme of this Workshop was "Defining Stakeholders Interests" Dr Madders invited speakers to present issues, concerns and goals which they considered critical from their sector's perspective. Dr Madders stressed that it was very valuable to identify as wide set of issues and to have as wide a set of viewpoints as possible in order to structure them and have an in-depth analysis following the Workshop. To stimulate such exchange of views and to set out a structure for future analysis Dr Madders presented a Matrix for Analysis of Space Policy Formation consisting of four sections: Drivers, Scope, Mechanisms and Resources. All issues identified by the speakers can be classified according to the matrix This can consequently be used to analyse the impact of these issues on European space policy formation and ensure that all viewpoints are taken into consideration when the European space policy is drafted. General Schuwirth Director General, European Military Staff had an unexpected meeting on 10 January and could not attend the workshop. He was represented by Col. Veniero Santoro who gave Gen Schuwirth's speech in his name. Col. Santoro described the mission, the task and the functions of the EU Military Staff which include implementation of policies and decisions of the EU Military Committee, early warning, situation assessment, and strategic planning as well as provision of recommendations on general military strategies. He then outlined what could be the EU military interest in space. The EU military could be involved in a variety of activities in support of EU security objectives. The global coverage, high readiness, non-intrusive forward presence and responsiveness of space systems could enable them to provide real-time and near-real-time support for the full range of military operations in peace, crisis and across the entire spectrum of operations. Space activities are differentiated into supporting the intelligence community and space activities supporting the planning and the conduct of operations. Col. Santoro mentioned some of the present initiatives important from a military point of view: SATCEN (The EU Satellite Centre) situated near Madrid, supports the decision-making of the Union through the provision of material based on the analysis of imagery, including geographical information. GPS (GALILEO) provides navigation data, available everywhere as a simple radio broadcast signal. The potential military use of Galileo services is a legitimate question that should be addressed in the more general context of military use of space-based civil systems.At the Capabilities Improvement Conference (CIC), late 2001, Member States launched the European Capabilities Action Plan (ECAP) in order to remedy existing military capability shortfalls. After that Col. Santoro defined the way ahead in the development of the EU Space Policy from a military perspective. The military will always require the full range of military systems handled by land, naval and air forces. Information superiority, data exchange and overall efficiency depend, more and more, on application of space-based capabilities. Such presence in space requires huge economic efforts, logistics and organisation. Hence, as no European Member State can acquire sufficient space capabilities on its own, there is clearly a need for an EU effort for co-ordination to the determination of realistic common requirements and objectives. To a certain extent, an EU space policy already exists. However, that policy so far, has been concentrated on the civilian field. In order to use fully the potential of space, the policy should be broadened to also include the military dimension. Prof Wolff believes that the position and therefore the funding of Science and Technology in this Century is going to be different, because of the growing realisation that over the last 50 years the two disciplines have made little contribution to the solution of any of the serious problems which face Society: Juvenile Crime, Alienation, Ageing Population, Poverty, Progressive Erosion of Moral and Ethical Standards, Confusion in Education, etc. According to Prof Wolff, innovation in the 21st Century will take place not so much in Science and Technology, but in the organisation of Society and the re-establishment of Social Sustainability, using Contemporary technology. The question one has to ask is where does Space Science fit in to the Future. The answer is in the cultural hunger which the public has in topics concerned with Astronomy, Cosmology, and the Origin of Life. The satisfaction of this hunger will supply the justification for expenditure on Space Research programs which Science purely for Scientists would not. In this respect Space Science is perhaps more fortunate than Particle Physics, which is also expensive, but does not have the same public appeal. Prof Wolff believes that the above considerations could have a profound impact on how Space Science is funded in the future. If it were to be presented as satisfying a deep seated public cultural need, of understanding its origins, having taken the place of religion in some people's consciousness, it may be easier to support than as "Science". He called fundamentally into question whether strengthening the EU was a good thing. He preferred the ESA intergovernmental, cooperative approach provided the intellectual strength could be attracted to it to give it valid goals. According to the definition of the word "Utility", it is, per Jeremy Bentham: "that property in any object, whereby it tends to produce benefit, advantage, pleasure, good, or happiness...or...to prevent the happening of mischief, pain, evil, or unhappiness"
Mr Cooper therefore proposed to look at what benefits and pleasures space provides, namely: economic advantage, scientific knowledge, peace-keeping, public happiness, and at the pain and unhappiness, namely: costs/taxation, environmental impact. He came to a conclusion that space should be means to an end (the provision of benefits), but not an end in itself. · Securing UK enterprises as foremost developers of leading edge space-based systems, delivering sustainable development and quality of life. Christophe Jacob looked at the commercial applications of space. Europe needs independent capabilities in access to space, manufacturing know-how, data collection and processing and equipment supply. He specifically noted that space was crucial for European security and defence. He compared the situation in the EU to that in the US which has more than 20 times space defence expenditure, to ex-Soviet Union which still possesses military space assets and to the increasing capabilities in China, India and Japan. He noted that the European efforts were scattered and at a slow pace. He stressed that in order to achieve its political unity objectives Europe would need well coordinated security and defence effort with due regard to the role of NATO. The European Satellite Operators Association (ESOA) represents the interests of European satellite operators with key European organizations like EU, ESA and others. Fulvio Sansone noted that the share of satellite communications services in the satellite industry revenues represented 46.6% in 2001 and 52.2% in 2002 (estimated). Mr Sansone believes that it is essential for Europe to have a harmonized regulatory regime for satellite communication services and to eliminate all barriers to market access which lead to higher costs for end users. Mr Sansone also pointed out that there was a high demand for the following industrial solutions: a wide range of satellite platforms (small, medium, large), reliable and standardized equipment, low-cost mass-production two-way end-user terminals, future generation interactive satellite systems, end-to-end satellite applications. In conclusion, Mr Sansone stressed that satellite communications have a major role to play in the information society offering democratic access to communications to an unlimited number of users and should be treated as a public interest asset. Christine Leurquin began with positioning SES Aglobal among other European satellite operators comparing their coverage scope (global or regional) and product focus (diversified or narrow). She concluded that due to its global coverage and diversified product portfolio SES-Global is the world's largest operator by revenue (€ 1,470MM in 2001), by EBITDA with the largest satellite fleet (42 satellites). She then outlined the global tendencies on the market which include decrease in internet asymmetry (generating the need for two-way interactive terminals and need for improvement of satellite nerrow-casting and point-to-point efficiency) and blurring of the distinction between PC and TV (which leads to convergence of set-top box and PC technology and to the creation of multiple tuner STB with high volume caching). · Regulatory hurdles must be lifted to allow Europe to keep its competitive advantage in the B2B and consumer broadband market. Ms Leurquin concluded that public institutions can help the satellite communications industry by encouraging common standards, allowing true harmonisation of licensing and spectrum allocation, supporting pre-competitive development and validation of the technology which will be needed in the future, launching ambitious programmes financed by ESA and EU stimulating new services and applications necessary for further industrial development. Michel Bartolomey noted that European space was built upon national ambitions which was relayed by ESA countries. Over the years Europe has developed a space capacity including competitive access to space and key presence in all applications fields. The current space activity represents € 5.5 billion yearly turnover and 33.000 employees. The public sector is the key user of space for defence, security of citizens, goods and infrastructure, and scientific advances. The commercial sector is still of secondary importance in Europe. Mr Bartolomey noted that all countries in the world wishing to play a role worldwide developed strong presence in space. Strategic aspects are so important that the domestic government markets in those countries are fully protected (USA, Russia, China, Japan). Yet the European market remains open. The question must be posed as to why this is the case. Mr Bartolomey concluded that it is important to set clear priorities for European space and to acknowledge the importance of space also for commercial use to achieve space and information competitiveness. Reaching public opinion presents both an opportunity and a problem. The opportunity is that the public takes much more interest in space than in certain subjects like, for example, the workings of national debt reduction. The problem is that it believes that these and other more mundane areas are more deserving of public money and hasn't understood that space applications can be beneficial in solving problems on Earth. Therefore the aim must be to show people that they are beneficial and to do so by targeting information at audiences specialist in these areas rather than at the space community per se. The Workshop was co-chaired by Prof Jan Wouters and Dr Kevin Madders. Prof Jan Wouters presented Conclusions from the Workshop.